What better way to spend your summer than producing a stunning hotel portfolio about Cafè Frida, in Bredstedt, Germany. Cafè Frida is a cute hotel smack in the center of Bredstedt, Germany. The owner asked us to create a short & interesting video over the hotel, highlighting the rooms, cafe and the general hotel. Taken away by the beautiful deco we were hard at work, we shot the hotel over two days as we had to dance around the timings of guests not to bother anyone. 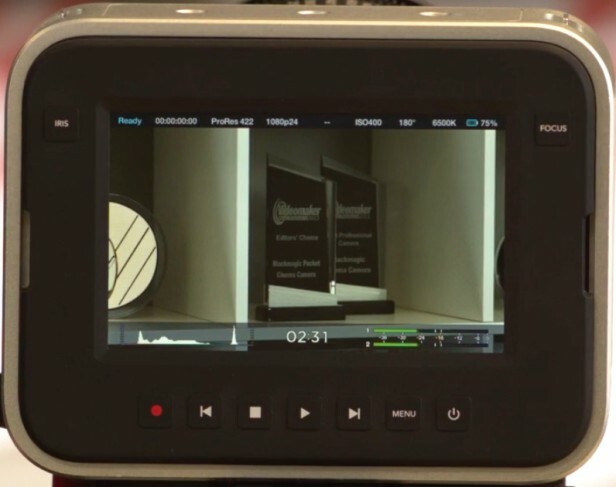 It was the first test as well with the Blackmagic Design’s Updated 1.9 Software, giving us the possibility of Histogram, Audio meters and time remaining on the SSD, it was surprising to us that it is finally out, non the less we put it to use. Histogram helps a lot, we used to use the Cineroid EVF to give us some scopes but it was always a guessing game to get it in the right balance. The vector scope needs some getting used to but it works. Audio meters are a great add-on as with our Røde Video Mic Pro we get to see live meters helping us dial in the right amount of gain. I have notices that there is a lot less noise in the images, I wouldn’t say the FPN is eliminated as I haven’t viewed the images in resolve but I can tell just by the ProRes files that they have cleaned up their De-bayer.